My name is Abigail Page-Vander Veer, but everyone calls me Abby. I am married to the most amazing and supportive husband anyone can ask for, James, and honestly if it wasn’t for him I wouldn’t be doing what I’m doing with Zumba® today. I, also, have the most wonderful friends & family who have supported me through this whole entire journey! 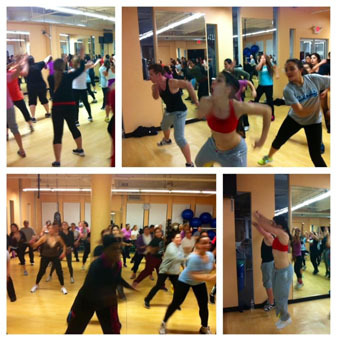 I am a licensed Zumba® Instructor and currently teach the Basic 1 and 2 format. I am also licensed to teach Aqua, Gold, and Atomic. I organize a lots of fundraising events to help many people in need for different reasons and situations. 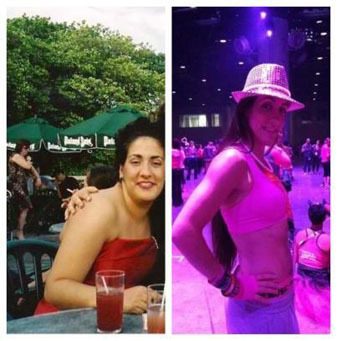 Before finding Zumba, I struggled with a whole bunch of issues with depression and anxiety. At that time, around 2008, I was also overweight to the point that my doctor categorized me to be in the obese range. I was newly engaged and was set to get married in October 2009 and all I wanted was to fit into the dress I had bought 14 months before my wedding day. Sometime in late May of 2009, I checked the schedule at my gym, stopped by on a Wednesday night and took my first Zumba® class. I left the gym that night and thought it was the best work out of MY LIFE and I wanted MORE! 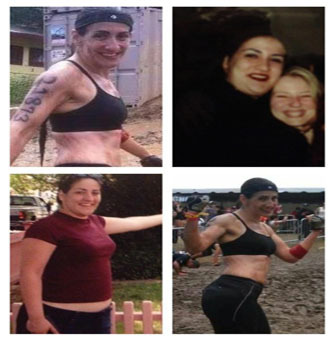 Fast forward 4 years and I am currently down 60lbs and 7 dress sizes thanks to Zumba® and eating right. I have met the most amazing people on this journey & have done some amazing things. And I am now in the best shape of my life! 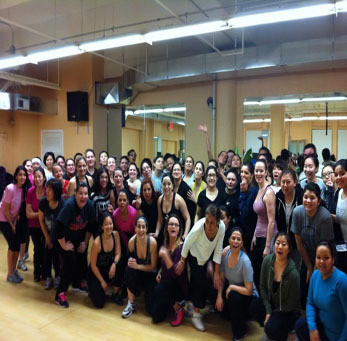 My Zumba® family inspires me every day! I want to help people on their personal journey and I want them to feel what I feel, every time that music turns on!